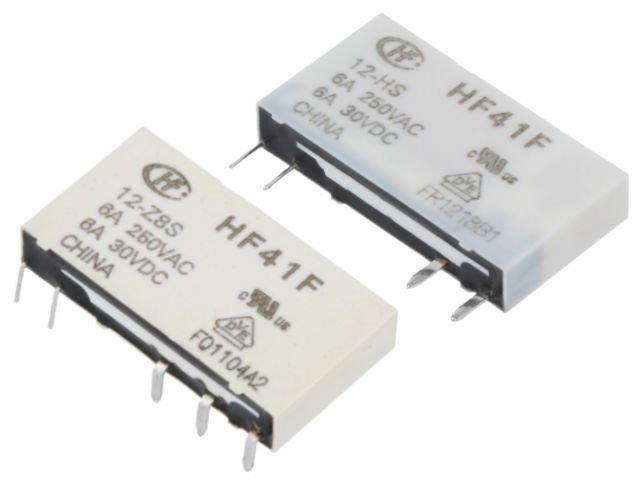 HF41F are subminiature power relays with a thin package profile (5mm). These relays can be mounted directly on a printed board or on a DIN rail with 41F sockets, also available at TME. The HF41F relays are characterised by pin load-carrying capacity of 6A, and are available in SPDT and SPST configurations. Check the full offer of HF41F subminiature power relays and sockets from HONGFA RELAY available at TME.